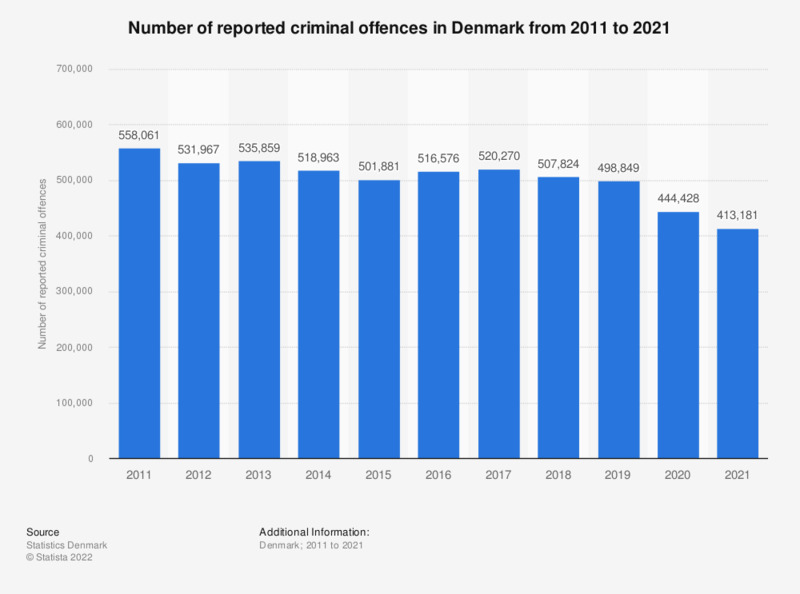 This statistic shows the total number of reported criminal offences in Denmark from 2007 to 2017. The number of crimes was highest in 2009 with 562,406 reported crimes. From that year, the number of crimes was declining and stood at 520,527 crimes in 2017.